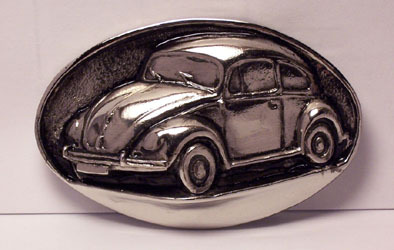 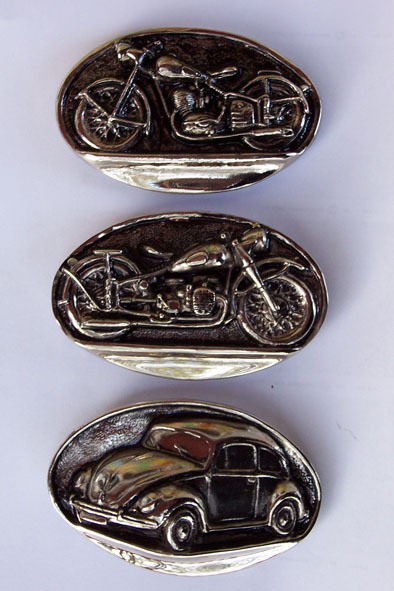 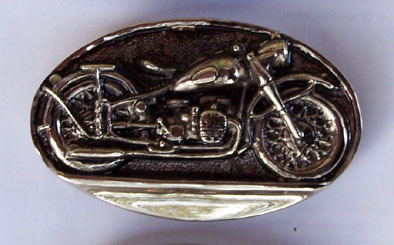 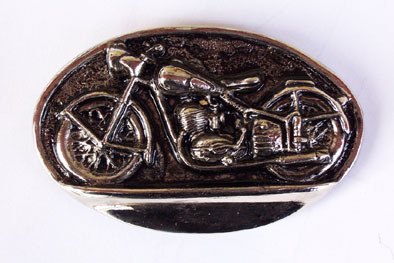 Handcrafted belt buckles for those who are interested in oldtimer vehicles, BMWs, Volkswagens, URALs, Csepels, motorcycles, cars or in any kind of technical stuff. 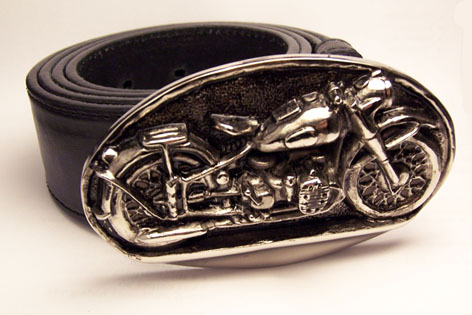 PERFECT GIFT FOR CHRISTMAS OR FOR ANY OTHER OCCASION - FOR OTHERS AND FOR OURSELVES AS WELL! 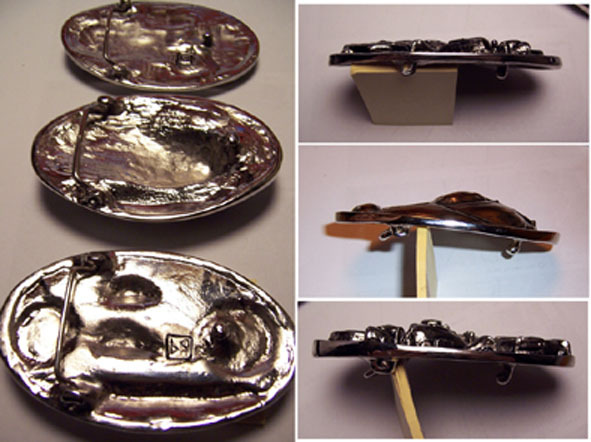 The buckles are polished zinc alloys with nickel coating, produced in small quantity. 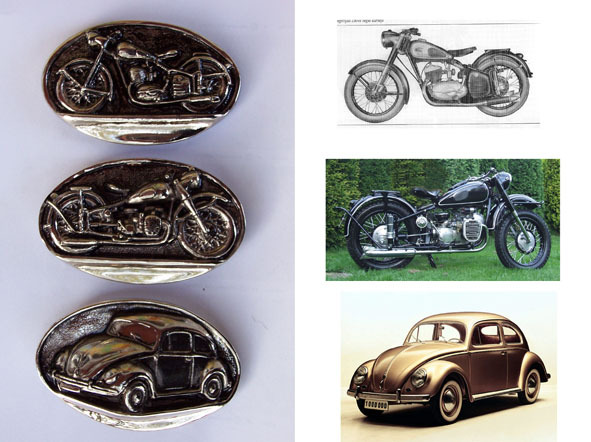 Weights: URAL M72 (- BMW R71) - 160g, Csepel 250 - 120g, VW Kafer - 120g. 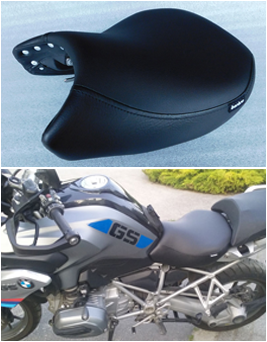 The price above includes VAT and meant without the freight cost. 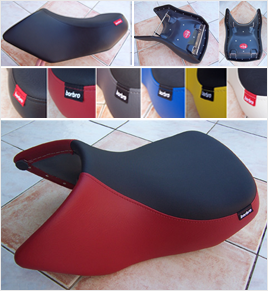 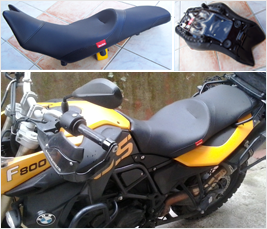 If you have any idea and would need a reasonable quantity, the moulding of any kind of motorcycle or car model is possible.